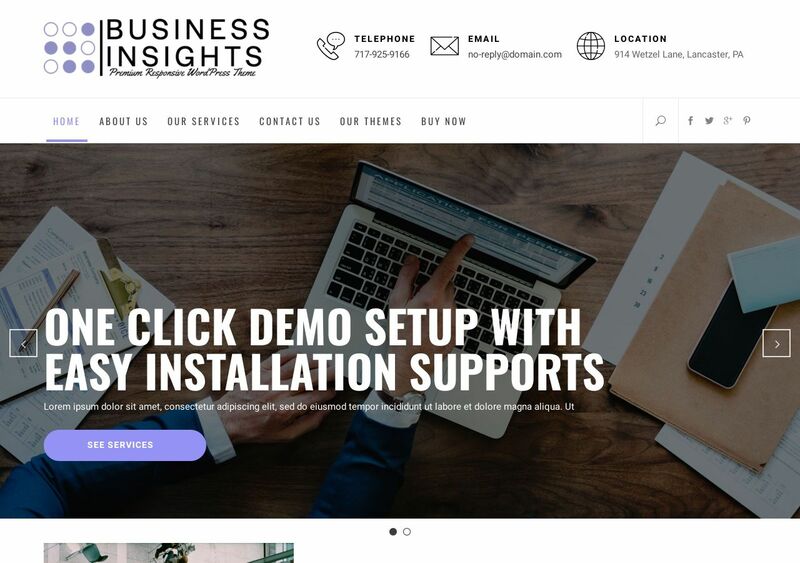 Business Insights packs a stylish and constructive structure, ideal for presenting your business in the most professional way possible. The thought process behind this theme is simplicity and efficiency. So, from the moment you start using Business Insights — it feels as though you have complete control over things. Unique implementation of AJAX features means that transition from one page to the next is instant. As a result, Google’s going to give you all the love it can in return. We like how evenly divided the different patterns are on this theme. For example, Services have a homepage-style approach, within which you can talk about Services in great detail and really get your message heard. At the same time, if your business module includes client on-boarding; then there’s nothing stopping you from adding appointment buttons and such.